You’ve taken it on trust that either there is nothing in your electronic communications that could ever embarrass you, the information we collect could never ever be leaked or the value of the information we collect about you is absolute. This is correct, although we can’t tell you which! That is unless someone leaks part of the details and then we’ll come clean. 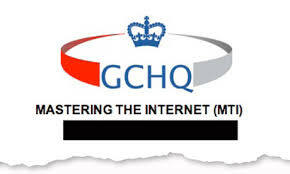 In the mean time, we have transparent laws about when the police can enter people’s homes but to publish the rules about when the intelligence services can enter people’s emails would be very different. If we had our way, the rules about police procedure would also be restricted since the current system of issuing warrants is cumbersome and puts the public safety at risk. Why delay the police taking action by stopping for paperwork? Next time the police arrive at your door without a warrant you’ll just have to accept as given that everything is lawful. As William Hague recently said in the UK Parliament, our intelligence services operate under the tightest regulatory controls in the world. While you can’t see evidence of the regulatory control or checks and balances yourself, a politician said it so it must be true. We also never make a mistake in entering the data or drawing conclusions which is why no method is needed to identify and correct any mistaken information which one day might kill your career or stop you from travelling. Also, you should know that out of the hundreds of thousands of people that will eventually have access to your data, most of them have had their basic security awareness training, some of them have had background checks and only a few have large USB drives. Some of the data we collect about you will be automatically shared with other intelligence services such as USA, Canada, Australia and New Zealand and maybe some others that don’t have the same regulatory controls that we do but don’t worry about that. While the information we collect about you is worth millions to marketing companies and spammers you should know that none of the hundreds of thousands around the world who will eventually have access to it would ever dream of becoming and instant millionaire by misusing your data. Also, we’ve taken steps to confirm that an Edward Snowden will never happen again. We know this because we’ve checked and we don’t have any other intelligence analysts by that name. Thank you for your trust in us. Unlike just about every other government department in history, we won’t let you down. Keep up the good work and don’t listen to any of that security awareness advice about privacy! P.s. recently, one of our new thermal imaging drones surveyed your street and we noticed a rather strange image at your house. You appeared to have fallen over in a horizontal position possibly on top of another individual. We don’t have any pictures of the inside of your house you understand, just the ‘metadata’ of the heat given off by your body. We’ve shown the pictures of your thermal images around the office and so far we’ve struggled to come to a consensus about what was actually happening. Carla in Accounts is insistent that you might have some form of epilepsy and that your driver’s licence needs to be cancelled. Pps. As a precaution we’ve added you to the no-fly list just in case. Rest assured that we have our best interns looking at your data fresh from their basic training on Excel. There might be a few mistakes along the way but we can’t put a price on your safety or on our budget. Ppps. It looks like one of our new programmers, Gary, has confused the no-fly list with the drone target list so you might want to move house asap.